Kevin Spelman is a scientist, clinician, educator, herbalist and writer who is currently a consultant for the natural products industry. His past research has included the molecular biology of the brain, immunological studies on Echinacea spp. and researching medicinal plants active against malaria. Besides appearing at conferences worldwide, he is an adjunct faculty member at National College of Naturopathic Medicine and a distinguished lecturer at Maryland University of Integrative Health. Speaker: Kevin Spelman. The endogenous cannabinoids are ubiquitous in mammalian physiology and affec..
Speaker: Kevin Spelman. The last few decades have provided increasing evidence that botanically..
Speaker: Kevin Spelman. The gut is described as a modulator of sensory and metabolic acti..
Speaker: Kevin Spelman. Immunomodulators show great promise in the treatment of the immune dysr..
Speaker: Kevin Spelman. Many plants throughout history have been used to invoke a connecti..
Speaker: Kevin Spelman. 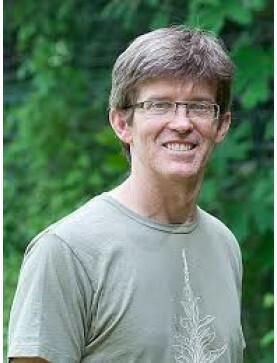 Energetics, constituents, actions and indications for ashwagandha are d..
Speaker: Kevin Spelman. Therapies for today's high stress environment include the plant adaptog..